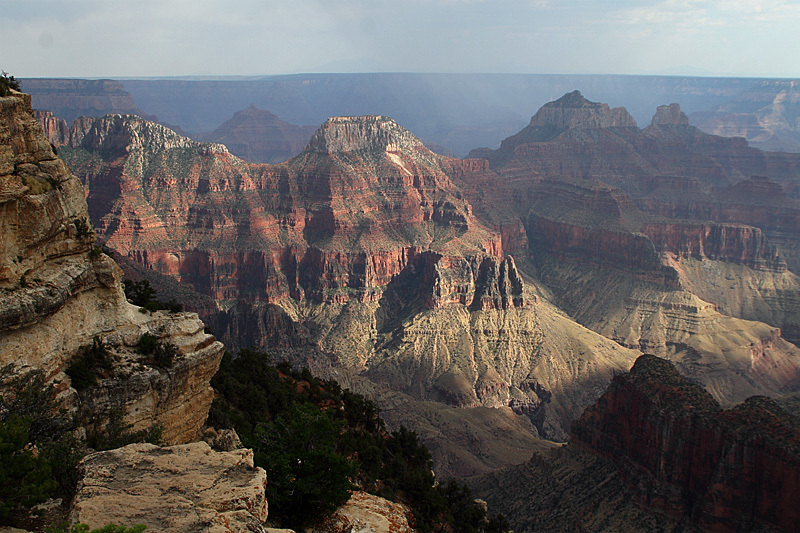 This view was taken from the Rim Trail not far from Mohave Point. 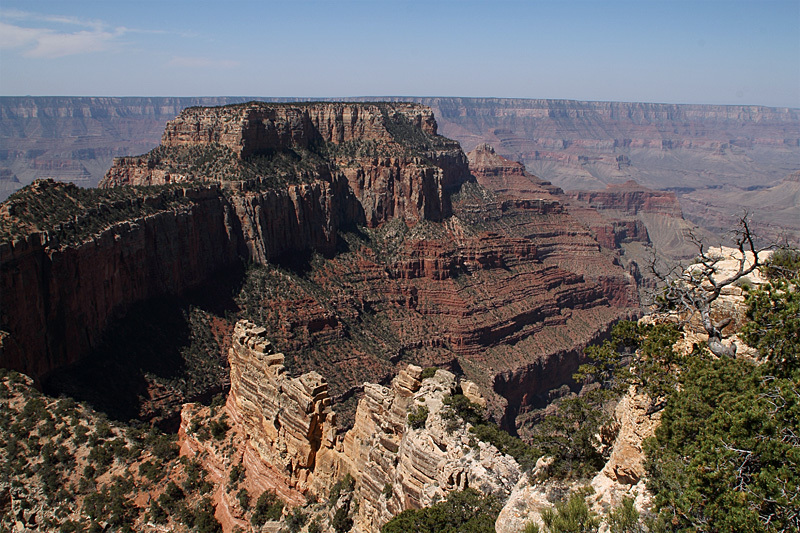 The flat Rim Trail extends for about 10 miles from the Grand Canyon Village area, but regular shuttle stops let you make the hike as long or as short as you want. 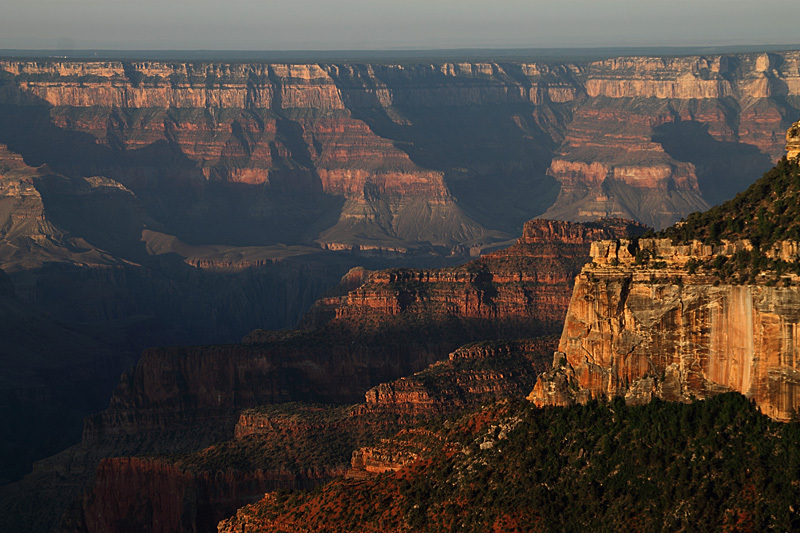 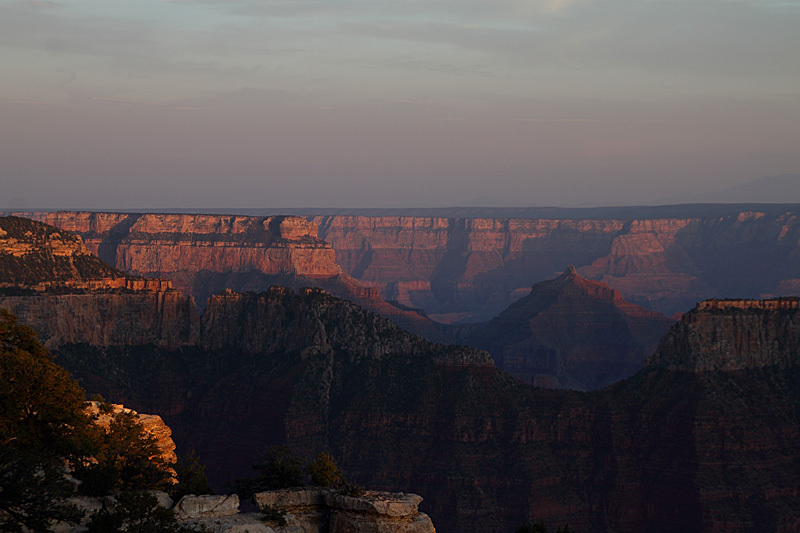 These pictures of the sun rising over Vishnu Temple were taken from Mather Point, the first overlook you stop at when entering the park from the south entrance station. 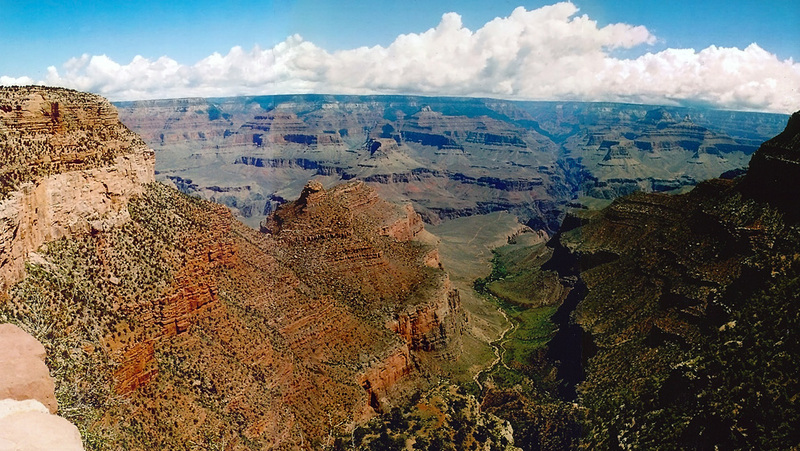 View from Grand Canyon Village. 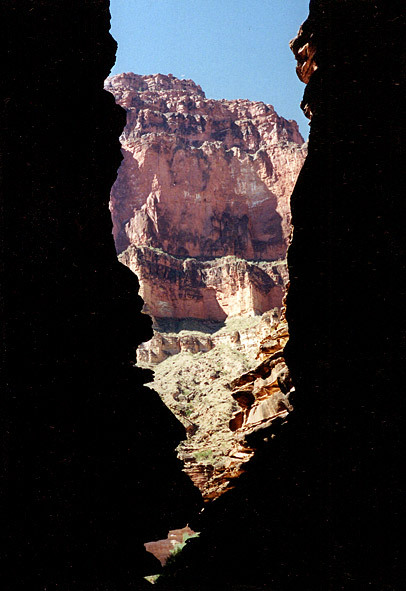 This photo of Granite Gorge is the first of several photos which were taken from inside the canyon while on an 8-day motorized raft trip. 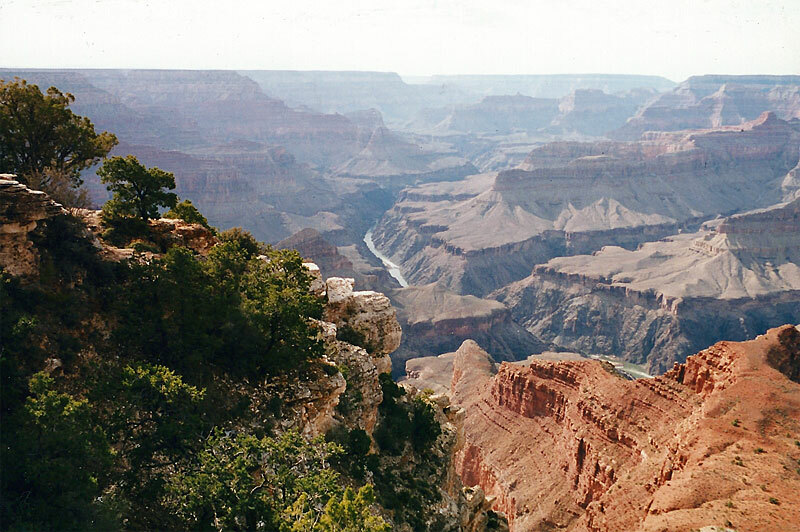 I had decided to take one roll of black-and-white film while floating through this steepest part of the canyon. 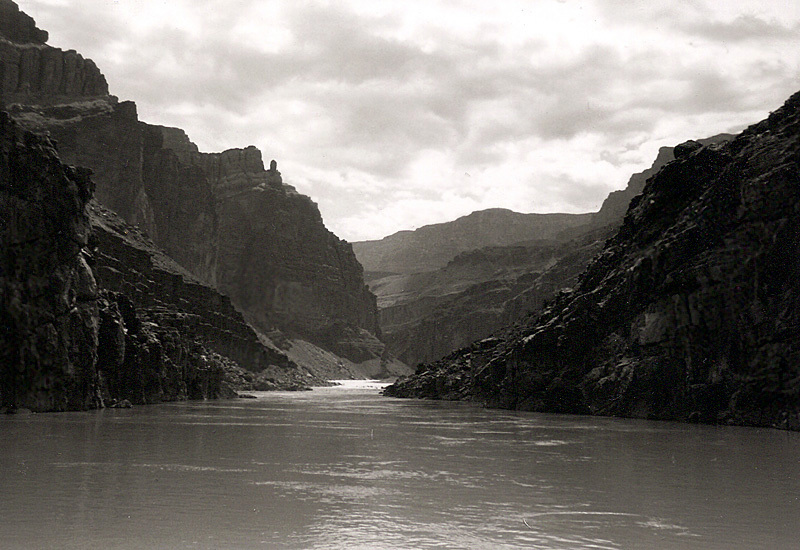 Blacktail Canyon is a small side canyon on the north side of the river about 30 miles downstream from the Phantom Ranch. 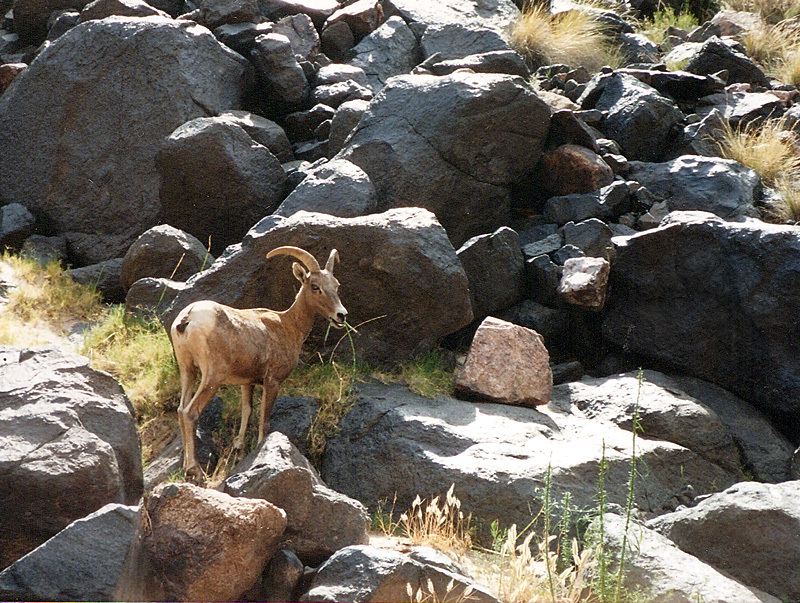 Near the end of the raft trip, we spotted this Bighorn ewe by the side of the river. 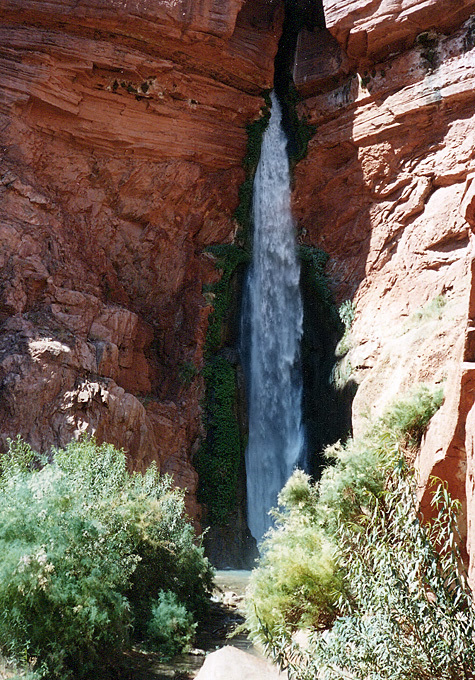 Deer Creek Falls is right on the river at mile 136. 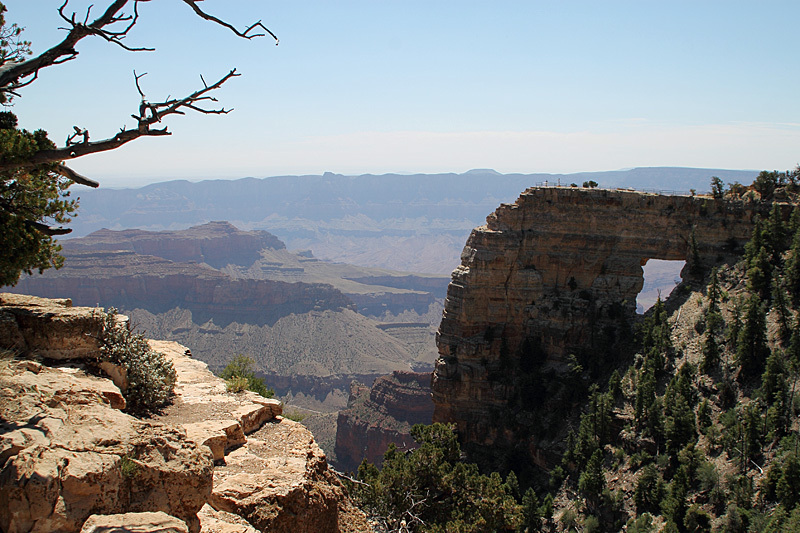 An easy trail to the Cape Royal overlook takes you by a view of Angel's Window. 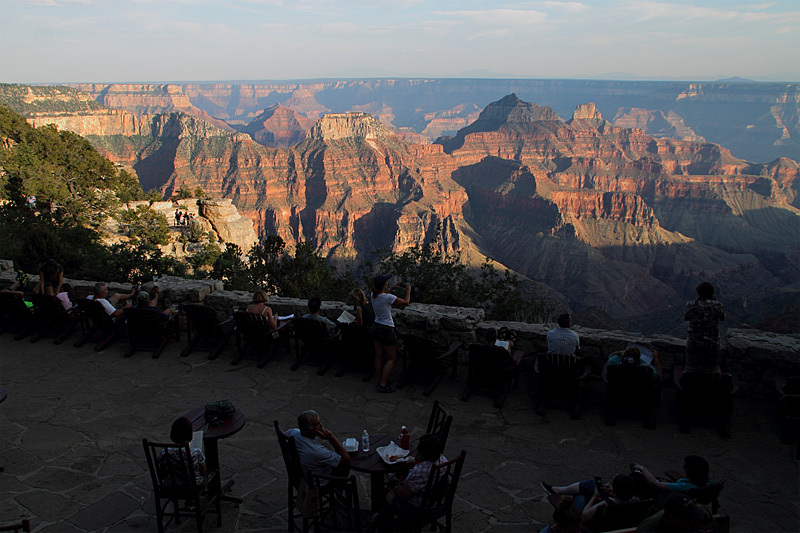 Watching sunset from the deck of the Grand Canyon Lodge. 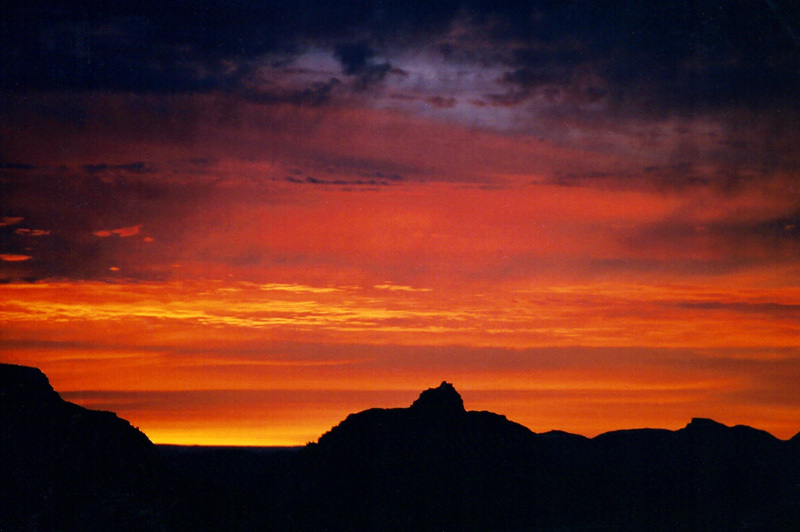 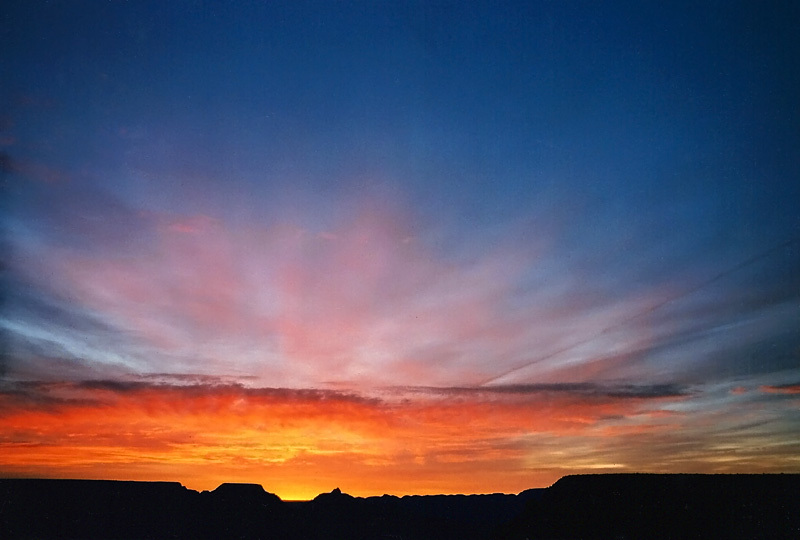 Sunrise seen from the Grand Canyon Lodge. 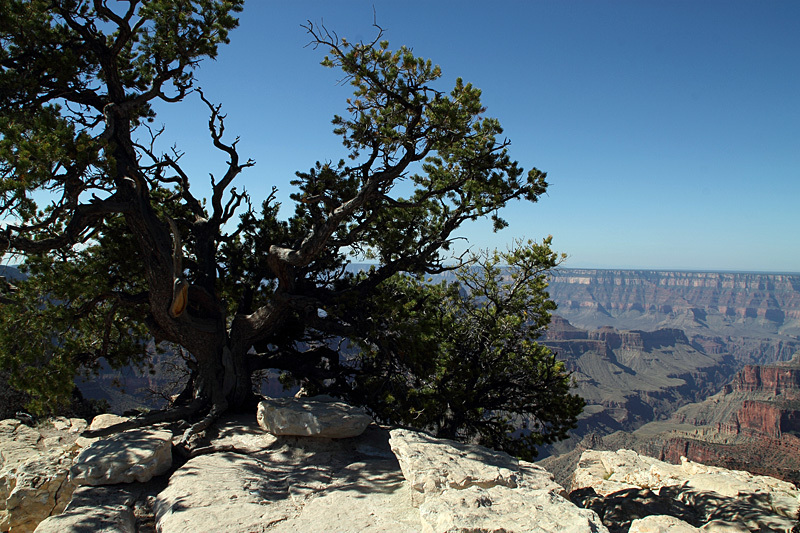 Leaving from the lodge is a short but uneven trail to Bright Angel Point.